So here is the result of the simple idea. The first code which is 100% PS3 only compatible. No flash, no bd-java or similar. The actual exploit is not finished. This is just the loader you will need and a proof of concept of the methode used to load it. 1. Install loader.p3t like a common theme file. 2. Put loadme.fu on an USB stick’s root dir. 3. 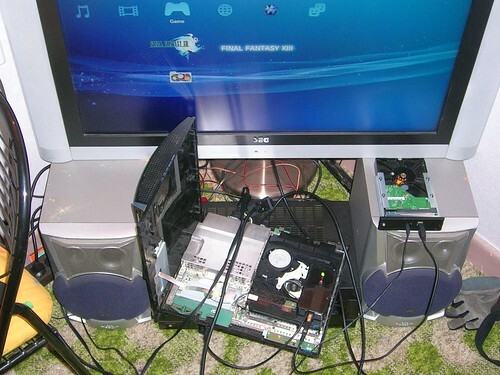 Insert USB device into any PS3 USB port. 4. Enable the theme you just installed before. 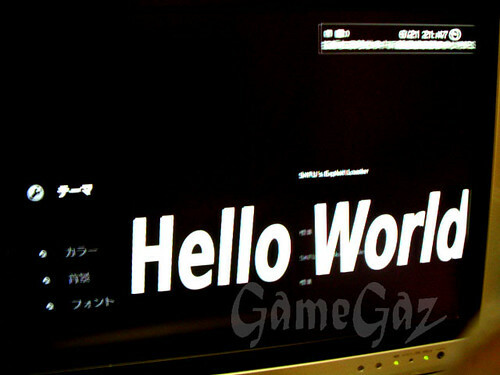 The PS3 theme file is able to load the loadme.fu script from any USB port. The script is executed. The “loader” is for future-use aswell to load any .fu files which I’ll release. Some of you may expect a little bit too much out of this. The code used runs in a very restricted area. Currently we test how far we can go into direction “overflow” and system param’s we can access. So far it’s possible to command the script a bit via system parameters like the clock. The clock can be used as provider of input, for example to command simple textures in different directions or similar. This is no exploit yet, if you may have missed that statement in the prior post. It’s just a way to load scripts via USB now. Further tests will show us what is possible at all. The information needed was given to several more devs so they can take part in the action.